Elle UK - 05.2019 » Download PDF magazines - Magazines Commumity! 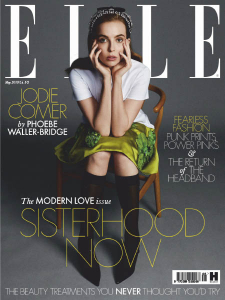 Elle Magazine UK is an iconic womans monthly glossy magazine. It contains everything from fashion to beauty tips and the latest celebrity news. It is a mainstream magazine which is focused on bringing the reader important articles on related womens issues. It will provide readers with all the beauty and health tips they may need as well trying to answer common problems such as giving advice on issues with love and relationships.